What is CFIUS and how does it fit within the U.S.-China relationship? CFIUS, short for the Committee on Foreign Investment in the United States, is a statutory body comprised of a dozen or so U.S. government agencies and chaired by the Department of the Treasury. It’s responsible for reviewing foreign direct investment entering the United States for national security concerns. CFIUS has been an occasional irritant in the U.S.-China relationship. 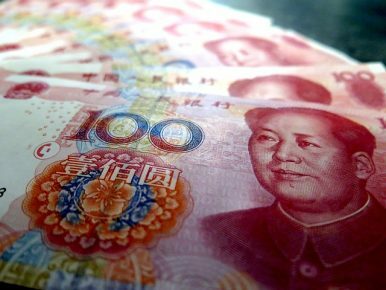 The Chinese government and companies sometimes complain that it is opaque and discriminates against Chinese investors. On the first point, there is some truth: CFIUS does not disclose details regarding specific transactions in order to protect the parties involved. However, among practitioners, there is a general consensus that CFIUS does a good job of staying impartial and applies a quite narrow definition of national security in practice. There’s also a bit of hypocrisy in these complaints, given the restrictiveness of China’s own investment regime and the unpredictability of its investment climate. Why is CFIUS reform emerging as a political issue? In the past two years alone, the stock of Chinese direct investment in the United States has doubled to almost $110 billion. That’s one reason that CFIUS reform has started to get attention in the U.S. Congress, but it’s probably not what’s generating most of the momentum for reform. It’s no secret that tensions in U.S.-China relations have been getting worse over the past few years. Under President Xi Jinping, not only has China’s foreign policy become much more nationalistic in tone and more assertive in practice, but its domestic economic policy has moved in a more mercantilist direction. You see this in Beijing’s industrial policy plans, like Made in China 2025, and the huge investments that China is making in strategic industries like semiconductors. Meanwhile, the climate for U.S. companies operating in China has gotten steadily worse. These factors, combined with that surge in investment and some of the economic nationalist sentiment that’s emerged here at home, are probably what caught the attention of Congress. Add in the general opacity of the Chinese system—it’s hard to know what’s state-directed and what’s private—and it naturally leads to worries about whether CFIUS is doing its job effectively. What reforms are being considered? The only legislative proposal that’s been introduced thus far is Senators Chuck Grassley (R-IA) and Debbie Stabenow’s (D-MI) “Food Security is National Security Act of 2017,” which focuses on reforming CFIUS to strengthen its focus on food security. Others are also considering their own bills. Senator John Cornyn (R-TX) is reportedly working on legislation designed to make CFIUS more robust as a national security review mechanism. Senator Chuck Schumer (D-NY) is reportedly considering reforms that would require CFIUS to consider economic factors in its review process; this would be a fundamental change, given the historical—and in my view, appropriate—focus of CFIUS on national security issues alone. There are also a lot of issues out there that aren’t getting as much attention. One that my colleagues and I have raised is whether CFIUS has the right resources to maintain appropriate awareness of transactions and to conduct effective analysis. Particularly when you look at the activities of private equity and angel or venture capital funds, it’s hard to keep track of everything that’s going on, let alone to quickly assess whether selling a sophisticated piece of technology or know-how is going to have national-security implications. Why is food security specifically being raised as an issue and where does it fit in the CFIUS process? Section 721 of the Defense Production Act of 1950 outlines the factors that CFIUS can consider in its reviews. Food isn’t mentioned, but this doesn’t mean food-related investments aren’t covered. For example, CFIUS reviews can consider how an investment impacts “the capability and capacity of domestic industries to meet national defense requirements.” This suggests to me that any investment with a significant potential impact on U.S. food security would be eligible for review. A lot of the attention on food probably stems from of the acquisition of Smithfield Foods by Shuanghui International Holdings in 2013. At the time, this was the largest-ever takeover of an American company by a Chinese entity, and it raised a range of concerns on Capitol Hill, including from Senators Grassley and Stabenow. There are a couple of points worth making here. The first is that China genuinely wants to improve the quality of its food system, which suggests an obvious commercial reason for Shuanghui wanting to acquire a U.S. producer with valuable technology and experience. The second is that the United States is one of the most food-secure countries on the planet. So while there is no doubt that food security is an important issue, I’m not sure it deserves a standalone legislative fix. What is the outlook for CFIUS reform in the current Congress and how does it fit within U.S. economic statecraft more broadly? Predicting what Congress will do is always hard, and the current political environment has made things even more uncertain. I would make two cautionary points. The first is to avoid making the same mistakes that have been made in the past. Tensions over foreign investment aren’t new. We saw a variant of this story with Japan in the 1980s, which ended with Washington overreacting, damaging an important relationship and missing out on the economic benefits of foreign investment in the United States without any kind of offsetting gain. We should avoid doing that again. The other mistake would be failing to recognize that China is different. When you compare it with Japan, the differences are obvious: China is a lot bigger economy, it’s not an ally, and it’s not a democracy. The plans coming out of the Chinese government and the statements coming out of the Chinese leadership have a clear mercantilist bent and connection to China’s national-security strategy. This suggests to me that Congress and the administration need to look beyond CFIUS and think more comprehensively about U.S. economic statecraft, including toward China. There are three elements here: playing good defense, which is where CFIUS fits in; playing good offense, which is what the Trans-Pacific Partnership was all about; and investing at home in the foundations of U.S. competitiveness. These are areas where my program and colleagues at CSIS are doing a lot of work, so I would encourage you to look there for more details.